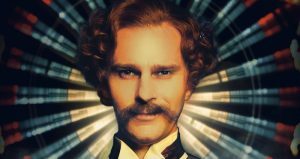 David Campbell has just been honoured with a Sydney Theatre Award for Best Performance by a Male Actor in a Leading Role in a Musical for his portrayal of John Wilkes Booth in Assassins! David was up against some theatre heavy weights in Tim Draxl, Toby Francis and Ben Hall, making the win an even greater testament to his outstanding performance. Assassins was successful in taking home two more awards for the evening, making the night even more special for David as the show was produced by Luckiest Productions, the production company David runs with his wife Lisa Campbell. Congratulations DC!